At Chinook we know that you want to keep your water, garden, pool, lake, pond or aquarium clean and healthy. We offer a variety of choices in capacities for very shallow or very large water features for use in either your back yard or commercial properties like the Devonian Gardens in Downtown Calgary. At Chinook, we stock a variety of small and large submersible fountain pumps for decorative garden fountains. Fountain pumps are designed to supply the flow of water to fountains and devices used for aesthetic purposes and aeration in residential, commercial, and industrial applications. 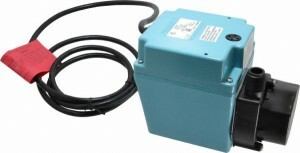 Fountain pumps may be configured for use indoors or outdoors and are typically differentiated by the size of the pool or pond and whether the application is decorative or functional. Some fountain pumps are even solar powered and can work in conjunction with a well pump to create special garden or landscape features such as waterfalls. At Chinook Pumps we work with real world contractors to enhance current technology that works and to discover new innovations to make installation simple and effective. We supply: Little Giant and Tsurumi Fountain & Decorative Pumps. If you have any questions about our Fountains & Decorative Pump Solutions, please call or contact us at (403) 243-3310 or Toll Free at 1.800.784-4324.